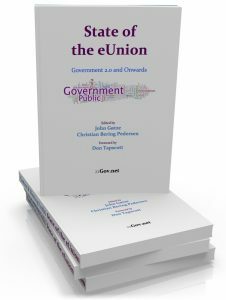 Last fall, I wrote a chapter for a book titled “State of the eUnion”. My chapter is called “Democracy 2.0” and is about how sites like Folkets Ting, OpenCongress and TheyWorkForYou get built and what features should go into them. The other chapters are about the challenges and possibilities of governments and the Internet in general. They are written by people like Tim O’Reilly, Lawrence Lessig and David Weinberger — very humbling company. You can download a pdf or buy a copy on Amazon. The whole Folkets Ting business has turned out rather well (even though the site is not currently updated — we’re working on it!) and I’ve been invited to speak on a few occations. Some of the talks were recorded, and in the interest of self-agrandissement they are included below in chronological order (except for the last one). I’ve created a new web site on Danish politics in the tradition of The Public Whip and OpenCongress (although it’s not yet nearly as good as those guys). It’s called Folkets Ting and comes with a complimentary blog (both in Danish). Go check it out. After several false starts, I think I will now have enough material to post regularly. The posts will probably concern mainly LINQ (the subject of my master thesis), Dynamics CRM(which I work with daily) and C#/.Net/Web-tech in general — for the near future at least. While Hemingway’s prose will consistently make the hairs on the back of my neck stand on end, that is — in fact — not the reason I chose the hemingway reloaded wp-theme. I just happen to think it’s aesthetically pleasing. I’ve made a few minor mods, including removing the credits in the lover left corner. Instead I’ll credit the creators here: Thank you startup365 and Kyle Neath for a beautiful theme. If I find the time, I may mod it some more. I’m thinking …CGA! The blog is hosted at ITU, it’s free, has an agreeable LAMP-stack and plenty of bandwidth (not that I’ll need it). If you want to know more about me, check the about page. UPDATE, 04-08-2007: Google Code Prettify is now syntax highlighting code in posts.